When Europe’s eCommerce innovators descended on the city of Barcelona for the first ever MagentoLive Europe, Lewis Sellers and Douglas Radburn from Team Pinpoint were among them. Attending the two-day event, over 1,800 delegates from more than 50 countries gathered to discover what’s new in the world of digital commerce. Delegates heard the very latest on the upcoming Magento 2.3 release, Adobe’s Magento acquisition, Amazon updates and third-party integrations. 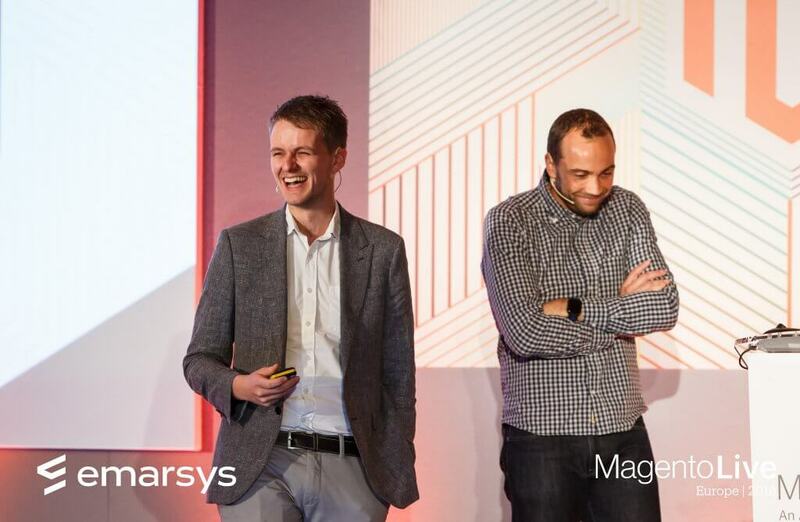 Delighted to be part of the line-up, Pinpoint MD Lewis was joined by Mark Roberts, co-founder of Beer Hawk, to present a breakout session, ‘Brewing up Success by Upgrading to Magento 2 in 3 months!’, within Magento’s Growth Strategy Track. A challenging project due to a constrained delivery time frame, we explained how an upgrade to Magento 2 transformed Beer Hawk’s eCommerce capabilities, providing them with the stability, security and speed their previous Magento 1 site was lacking. The talk also discussed how our discovery process identified key functionalities and our recommendations for third-party applications such as Nosto, Klevu and Akoova to ease the strain on the site, stabilise it and provide valuable functionality to drive conversions. We touched upon the challenge of in-house and agency development teams working collaboratively on the project, a new experience for both teams. By splitting the project into key areas of development, the Pinpoint and Beer Hawk teams were able to complete their allocated project phases and site testing ahead of go-live. Through regular face to face progress meetings, together, we successfully delivered a functional and responsive site. The new site launched after just 3 months (and 3 days) of development and is now stable, faster and more secure thanks to the combined efforts of the Pinpoint and Beer Hawk teams. Beer Hawk have enjoyed staggering success since go-live, with revenue increasing by 63.23% and transactions up 50.85% between 1st April – 31st October 2018 vs the same period in 2017. In addition, website conversions are up 29.4% and the average order has increased by 9.11%. Opening their first store, which includes an interactive bar on London’s South Bank, they launched an omnichannel offering leading to further increases in B2C revenue and conversions. With additional stores to come, a loyalty scheme and the implementation of PWA to streamline their online checkout all planned for 2019, continued success is definitely brewing for Beer Hawk. To learn more about our work with Beer Hawk read the case study.